The Allen Township Fire Department is located in northwest Ohio, specifically in northern Hancock County in the Village of Van Buren. The total area of fire and rescue response is approximately 30 square miles, which includes Allen Township, Cass Township and the Village of Van Buren. The response area of the department is bisected vertically by I-75 and also vertically and horizontally by Norfolk and Southern Railway. The area is comprised of residential, commercial and industrial properties. These properties provide a multitude of various response situations. 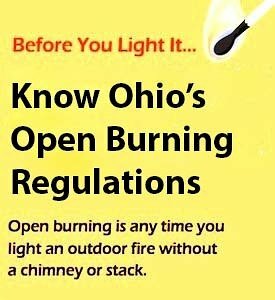 Know Ohio’s Open Burning Regulations!